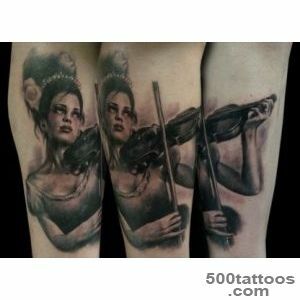 Today, tattooing is a true art form. 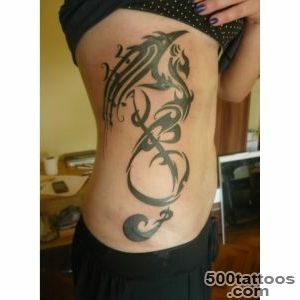 It is used to personalize, highlight themselves in the crowd, and also can carry a deeper meaning or idea. 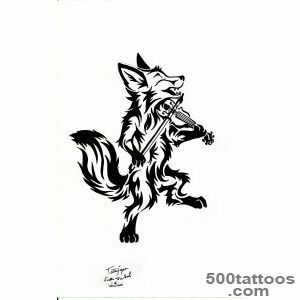 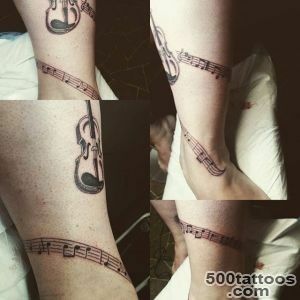 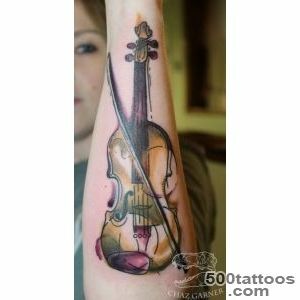 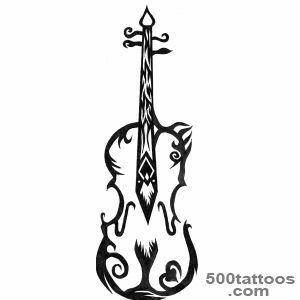 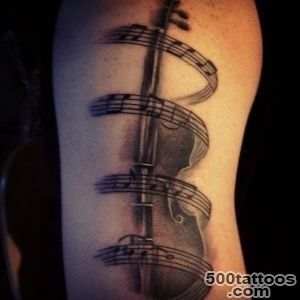 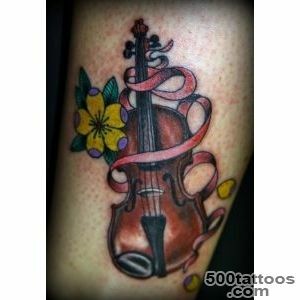 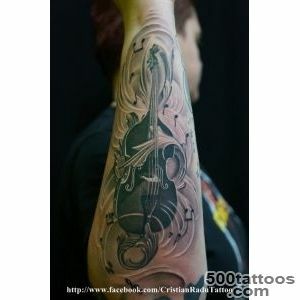 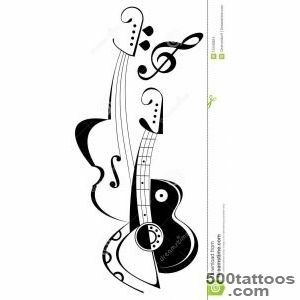 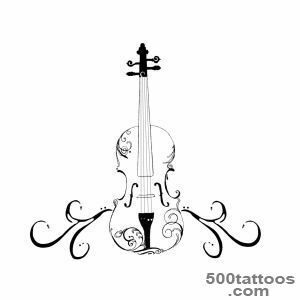 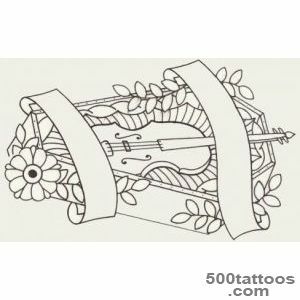 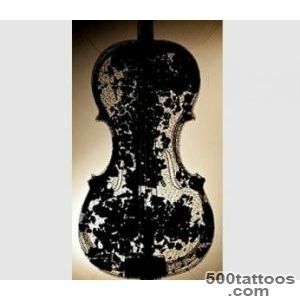 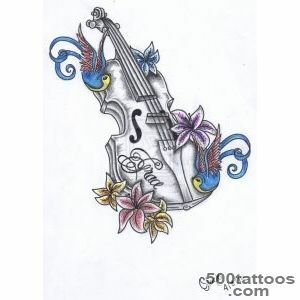 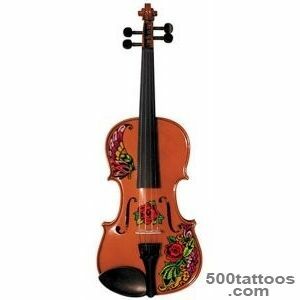 Tattoo violin is widespread among creative people, and of musicians.This tattoo can be seen on many of the popular and well-known performers and composers. 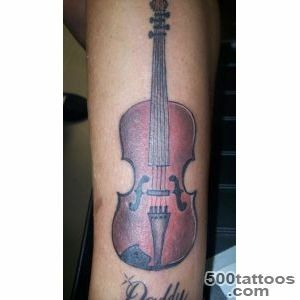 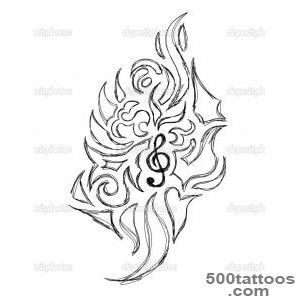 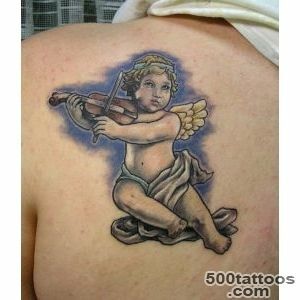 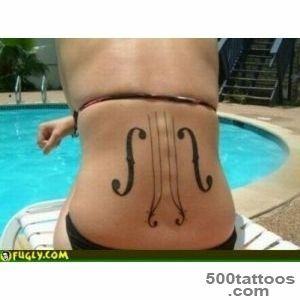 But a very different meaning has a tattoo of a violin on the area. 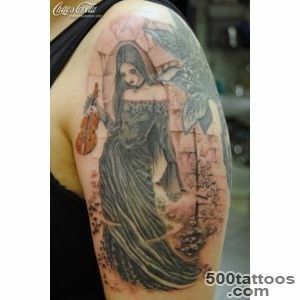 In the criminal environment, it means gay men, and on the body of the girl symbolizes her weak-willed. 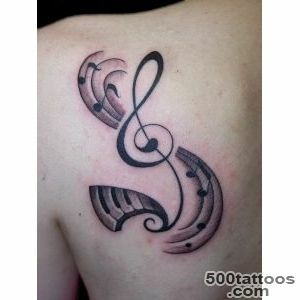 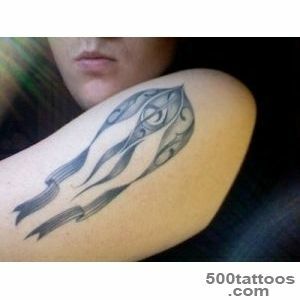 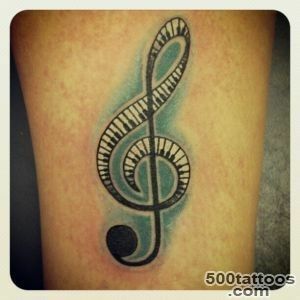 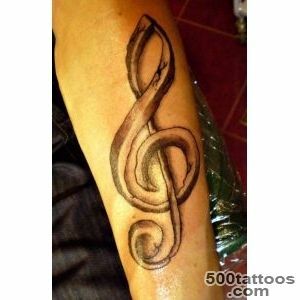 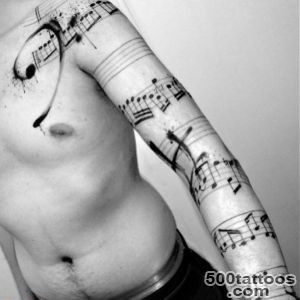 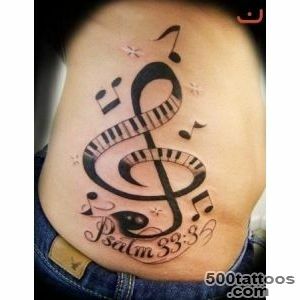 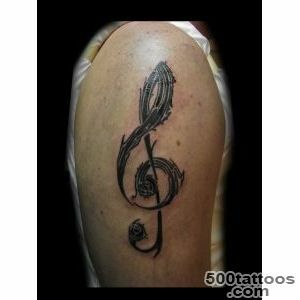 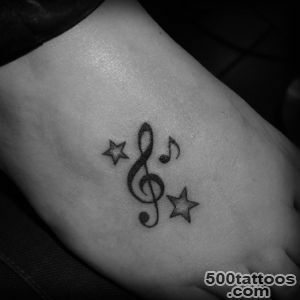 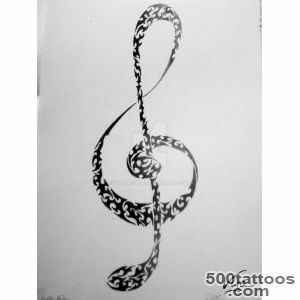 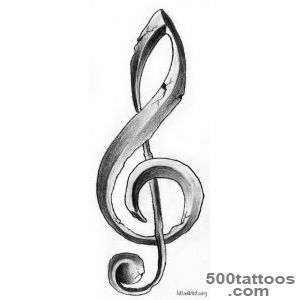 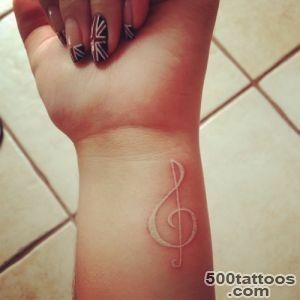 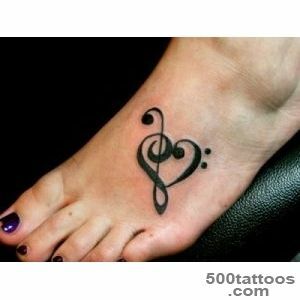 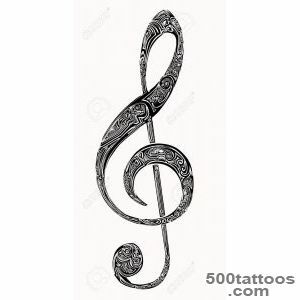 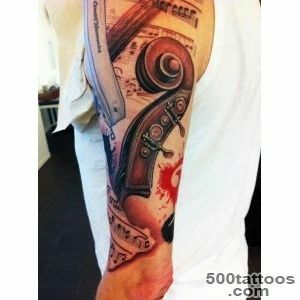 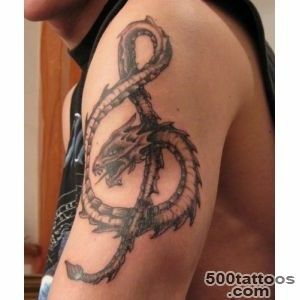 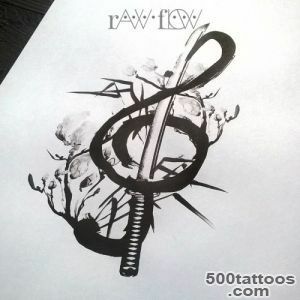 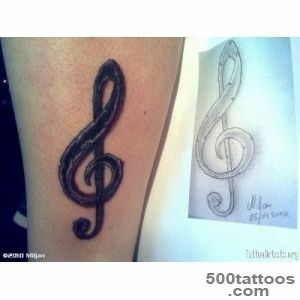 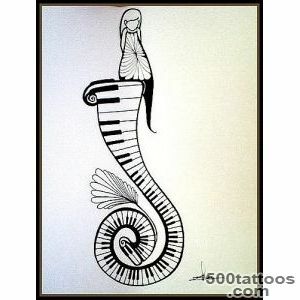 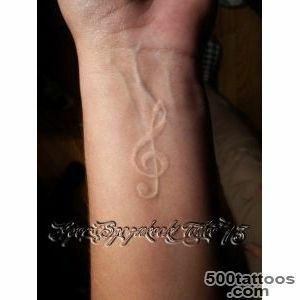 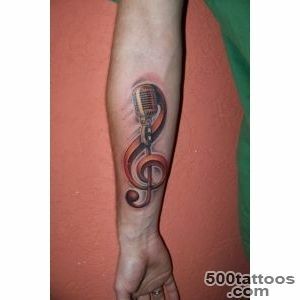 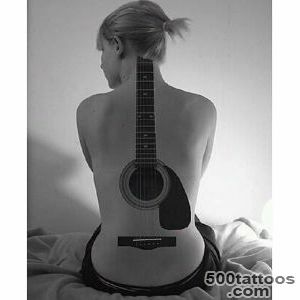 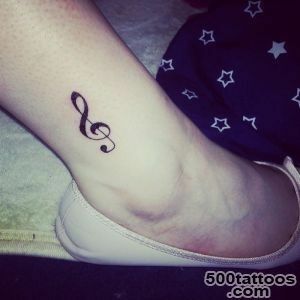 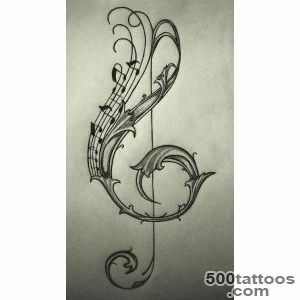 But it should be remembered,that the main value and meaning to the tattoo made ​​only by the holder.